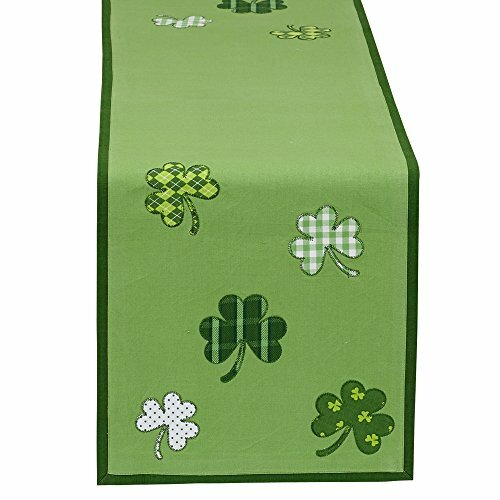 Add a splash of Irish theming to your dinner table with this pretty green table runner. The runner has a whimsical arrangement of patterned shamrocks at each end. 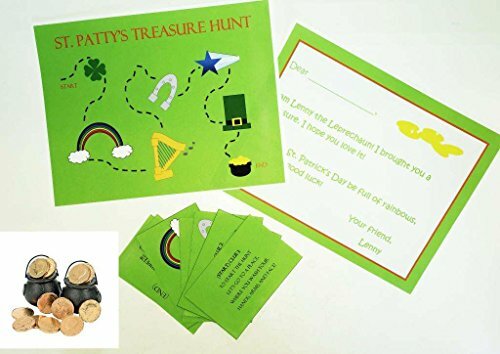 This is a 14" by 54" 100% polyester reusable table runner that would be a great decorative item for St. Patrick's Day. The runner is green with a dark green border and embroidered shamrocks. 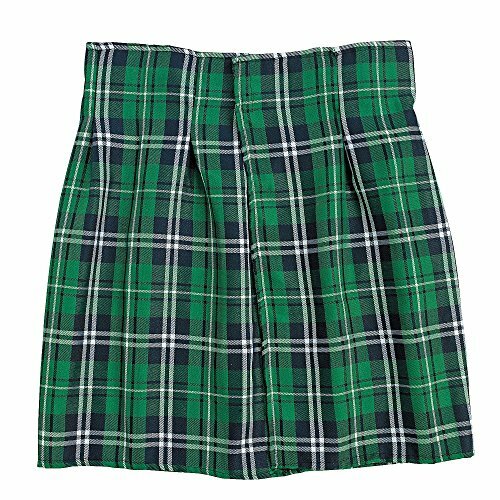 Each shamrock is made of a different green pattern, including polka dots, checkerboard, and argyle.